This month we were extremely privileged to have been invited to the home of Robert Powell, to film an interview about his life and career, which turned out to be the funniest 4 hours of our lives. 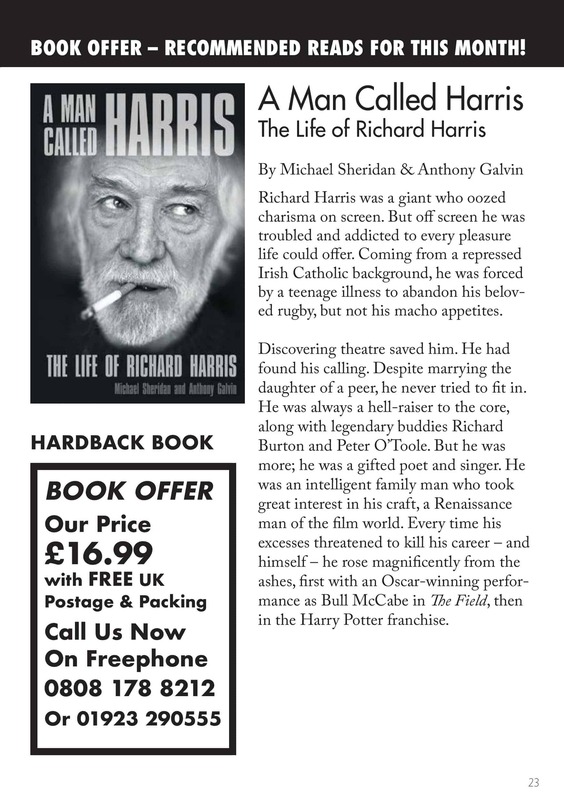 Tales of The Italian Job and squashing his cinquecento in the middle of a bendy bus in Turin, wonderful stories of him as Jesus and working with Laurence Olivier who called him ‘Bobsy’. 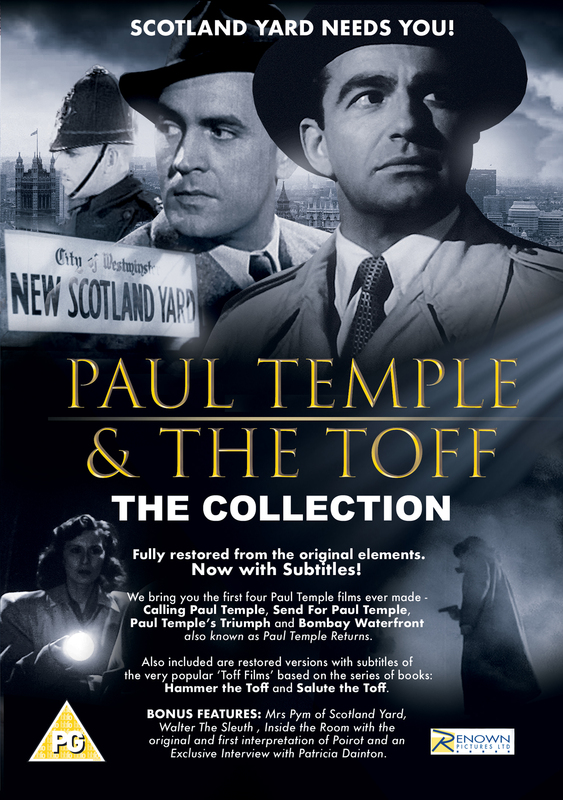 Meeting his wife ‘Babs’ from Pans People, long tales of The 39 Steps and of course the wonderful series Hannay and much, much more. 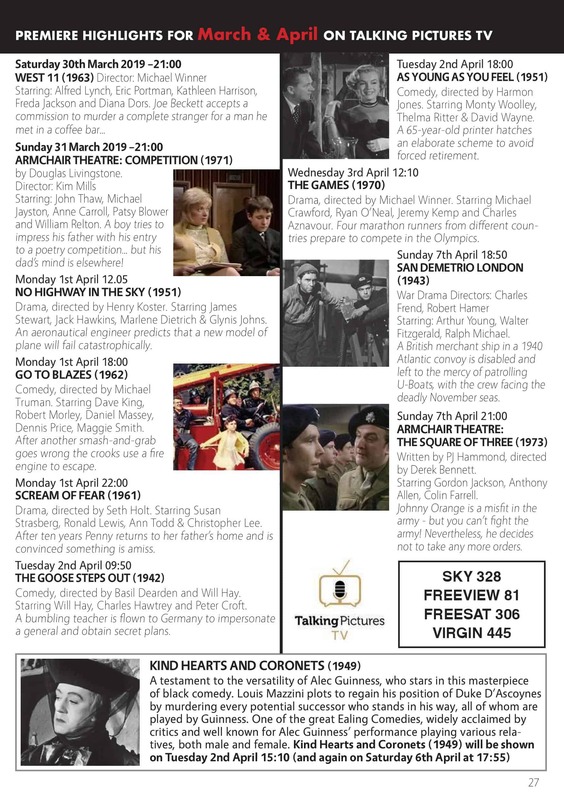 The full interview will be screened on Talking Pictures TV later this year so do keep your eyes peeled. 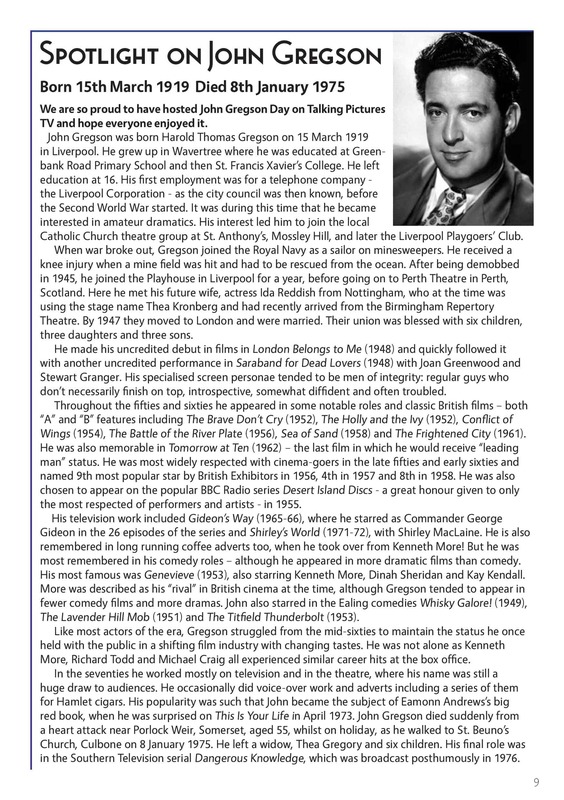 Sad News: Bernard Cribbins is no longer able to attend our festival in St Albans, you may have heard the news recently that he has pulled out of the new Dad’s Army film, also due to ill health and the health of his dear wife. 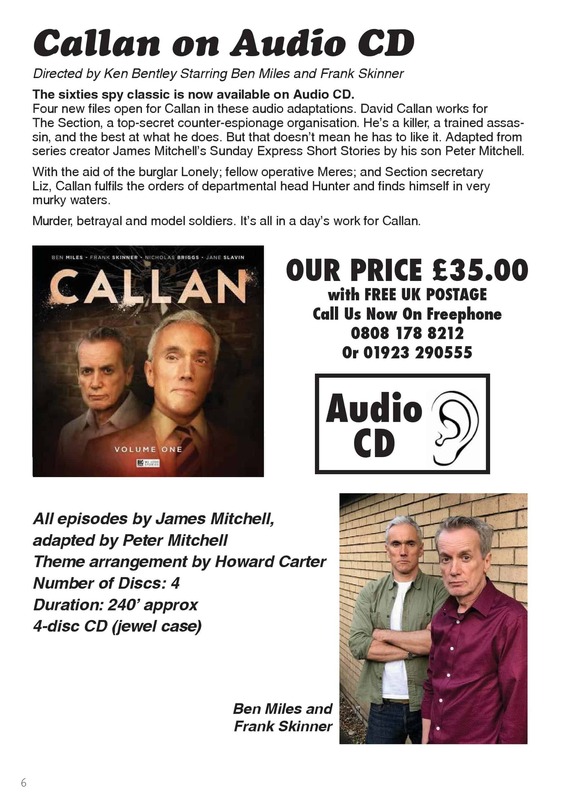 BUT NEWS FLASH NEWS FLASH – We are delighted to announce that none other than Mr Hannay and Jesus himself… Mr ROBERT POWELL has agreed to appear on stage on the day to regale you with his wonderful stories and highlights of his career – and he will be signing autographs for all Hannay fans. 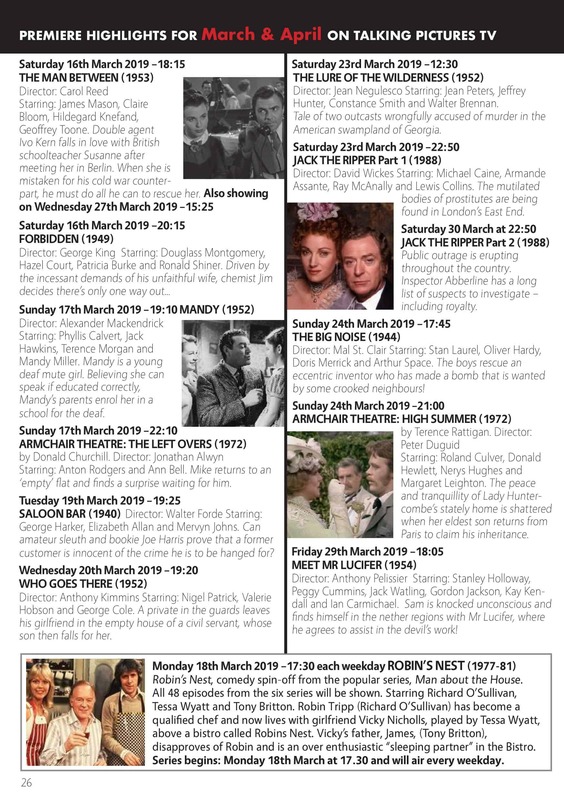 When you receive this newsletter the Renown Festival of Film in St Albans will have either just taken place or will be taking place in a few days. 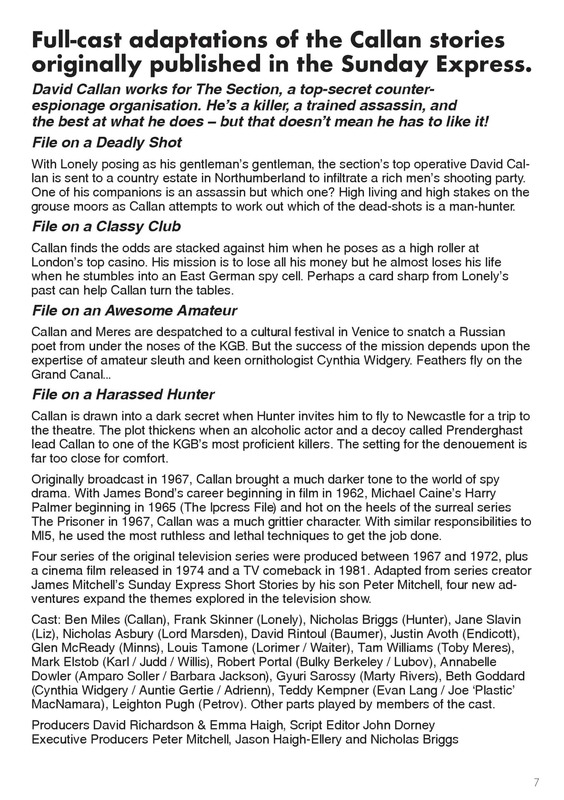 For those of you who did not manage to attend or obtain tickets there will be a full write up in the next newsletter. 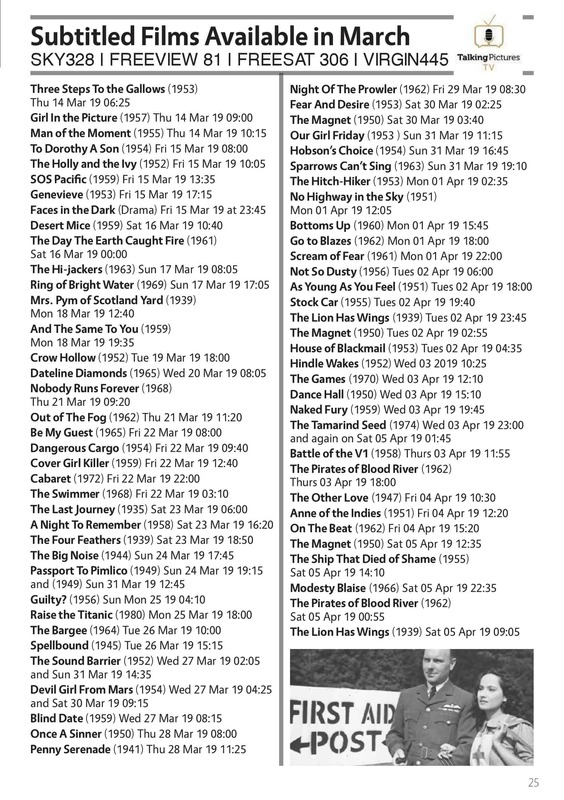 The next newsletter will be a little later due to Easter and the Festival of Film. 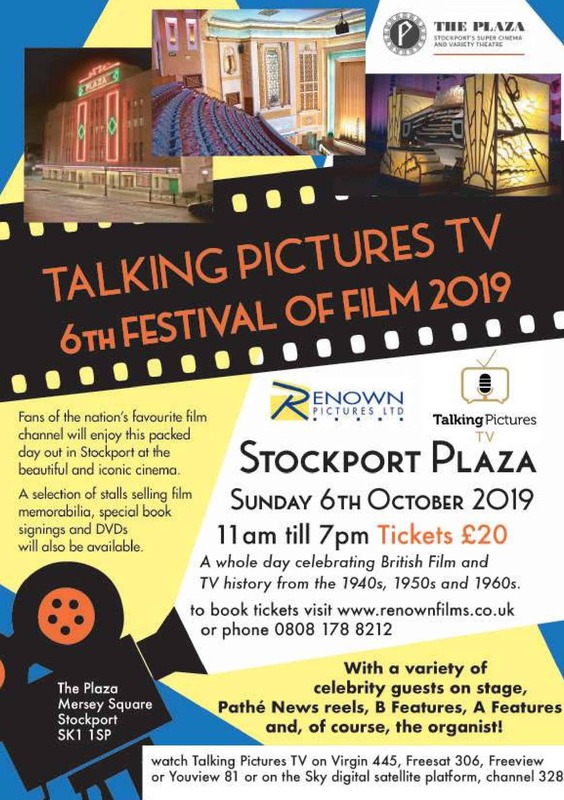 Tickets are selling very well for The 6th Festival Of Film at Stockport on Sunday 6th October 11am-7pm. If you would like to attend do book here to avoid disappointment. 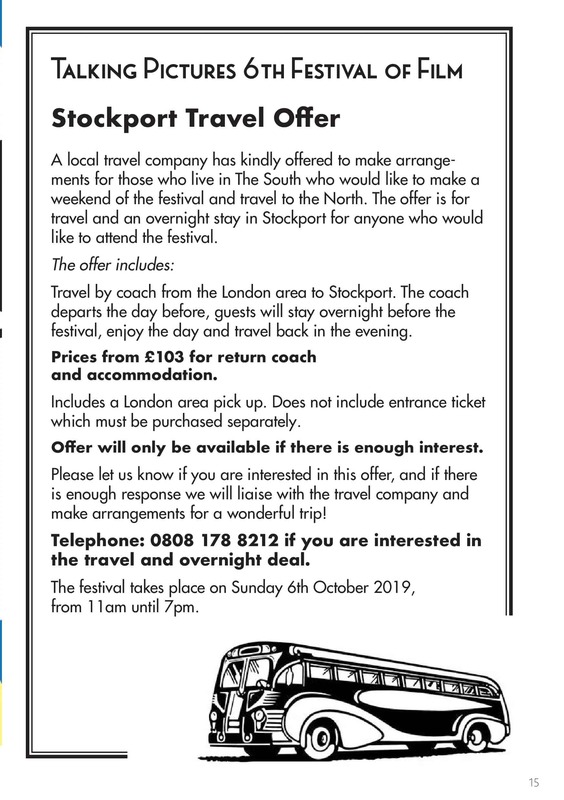 There is an optional coach journey from London and an accommodation package – more details on page 15 but let us know if you are interested as the prices and availability depends on the interest from our members and viewers. 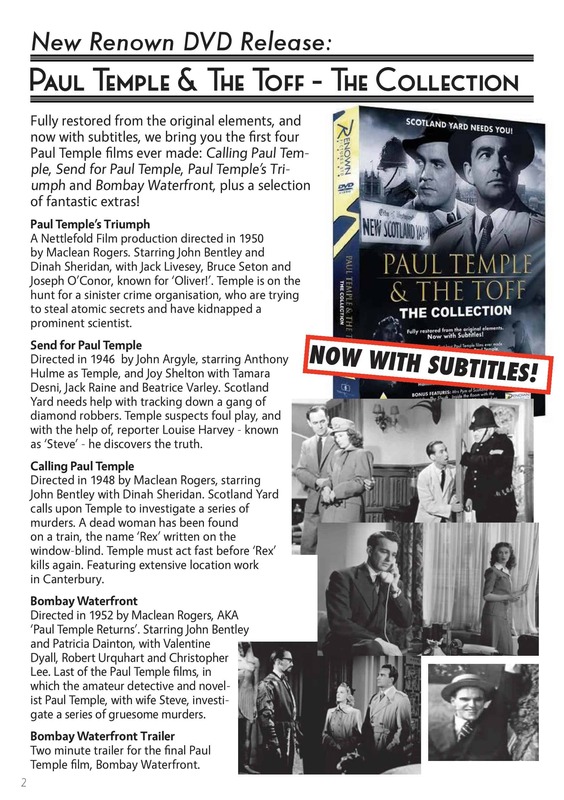 This month sees the Renown Box Set Release: Paul Temple & The Toff films and some other super sleuthing bonus features. 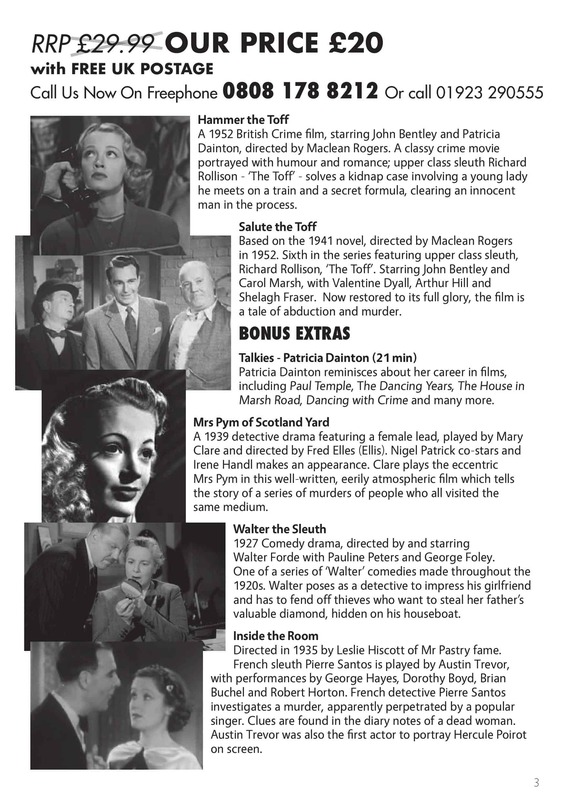 ALL FILMS HAVE SUBTITLES and also included in the collection a full uncut interview with dear Patricia Dainton. 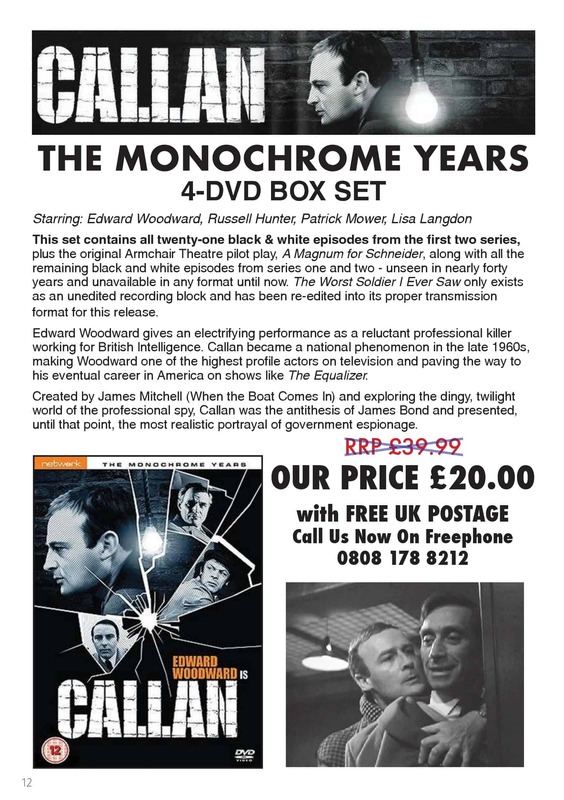 All films have been fully restored since any previous release a great purchase for just £20. 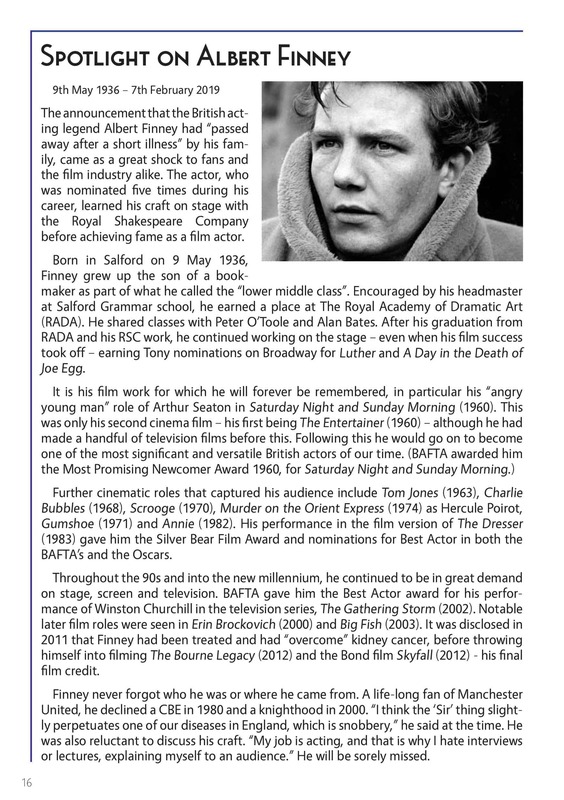 Very sad news that dear Albert Finney has gone to the great cinema in the sky, a brief tribute to him on page 16. 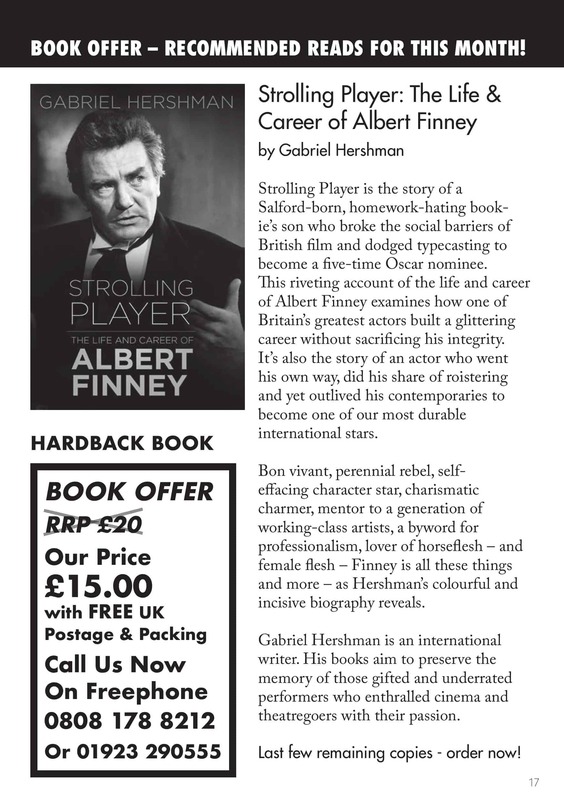 Robert Powell spoke very fondly of dear Albert and we shall miss our favourite ‘angry man’. 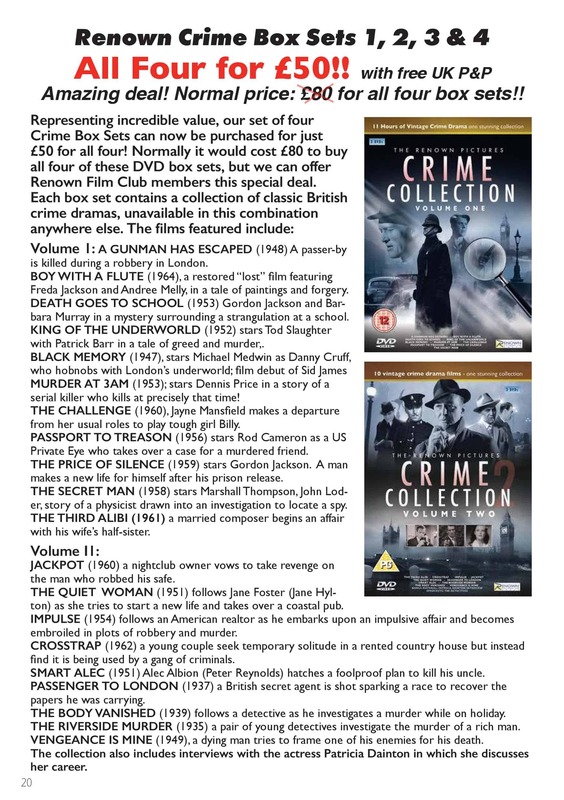 A VERY SPECIAL OFFER on our Crime Collections this month – which runs for 4 weeks only all 4 collections that’s 38 films for £50 with FREE postage! 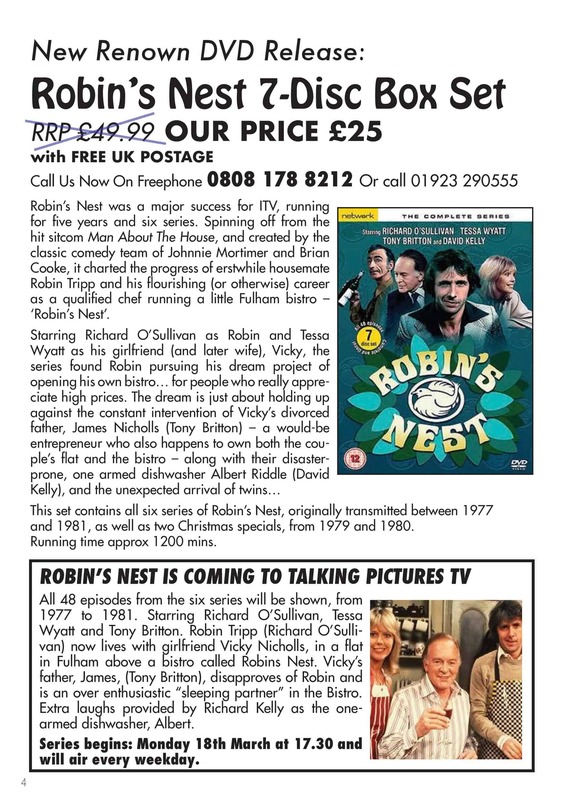 Celebrating The Return of the wonderful series Robin’s Nest & Callan to British TV screens only on Talking Pictures TV, we have some wonderful offers in this newsletter. 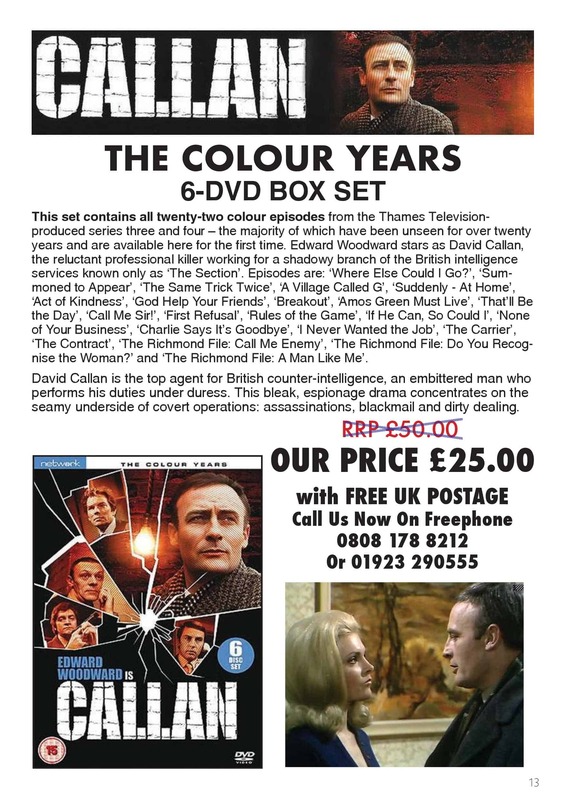 Including a CALLAN AUDIO CD! 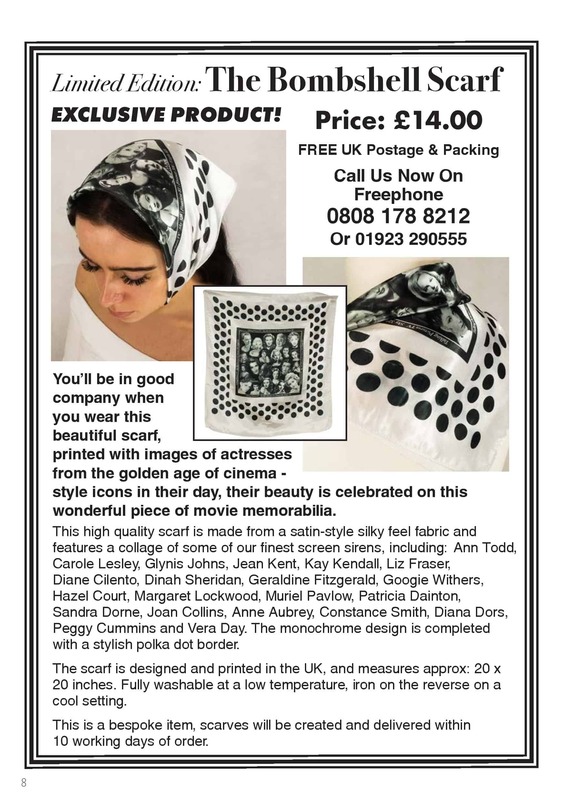 Great for those who enjoy ‘Talking Tapes’ Special carefully chosen books, our ‘50s Bombshell head and neck scarf and much, much more. Do keep on spreading the word, it really does help! Until next time … Best wishes and we look forward to meeting so many of you at the Festival Of Film in St Albans any day now! 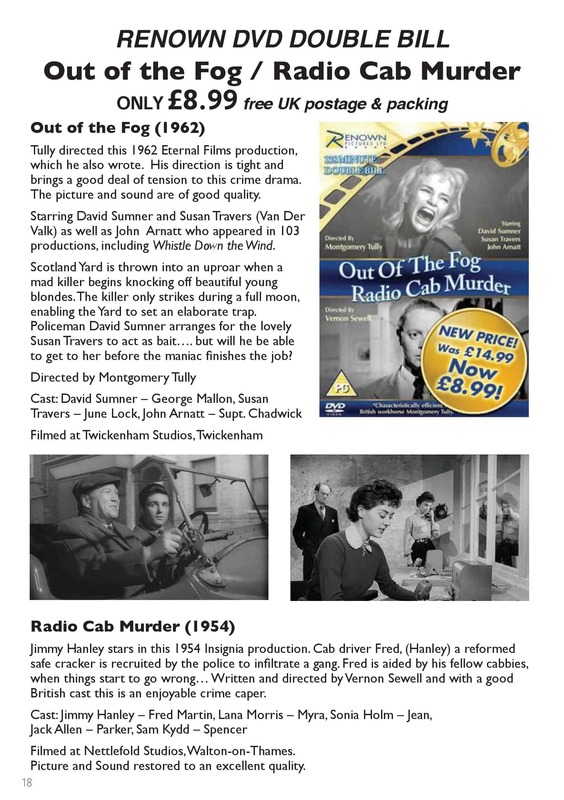 As this month’s newsletter is jam packed – it won’t fit on this page so CLICK HERE FOR THE FULL NEWSLETTER this should be easier for you to read and browse hopefully! Timeless, nostalgic and irresistible, the Glimpses Collections bring us delightful moments from the recent past, a time which has already become a memory. 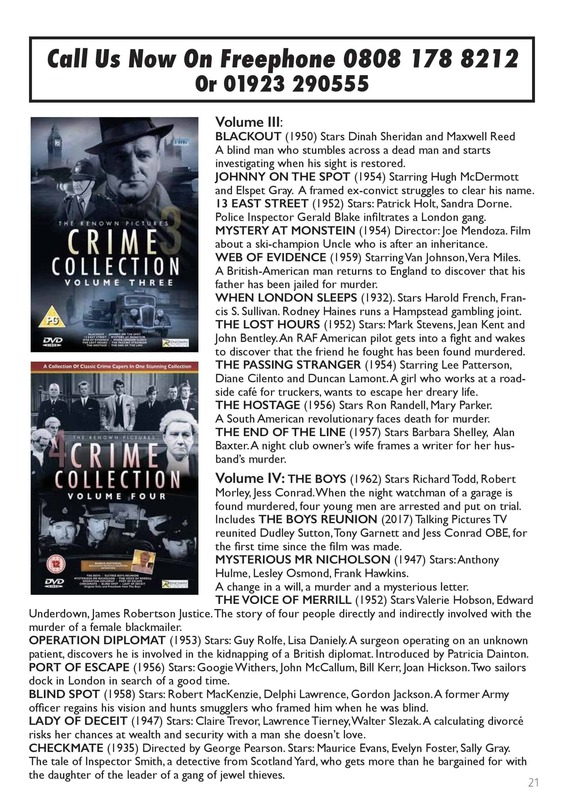 Highlights include footage of vintage transport, vehicles and urban streets across the nation, empty while a war is fought on all fronts, at home in factories and on the land and away at sea and on the battlefields. 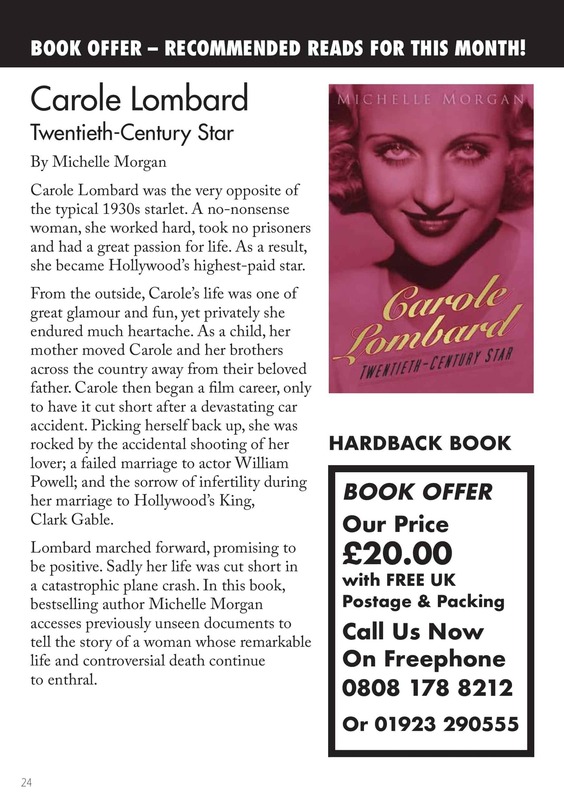 By contrast, enjoy a calm, unhurried trip along the Thames, or a visit to London’s glamorous West End in 1947. 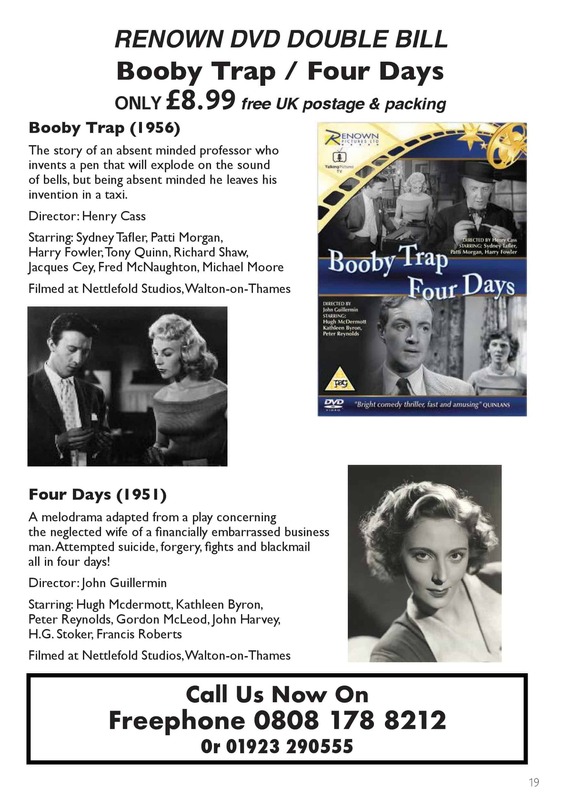 Relax during a weekend in 1949 or a pleasant Sunday in Southend, flimed in 1959. On a more serious note, experience War Time London or the hard, serious day in the life of the Children of the North Sea. For the more adventurous, Life in Sweden in the late 1940s is explored, and a Pilgrimage through Palestine is undertaken. 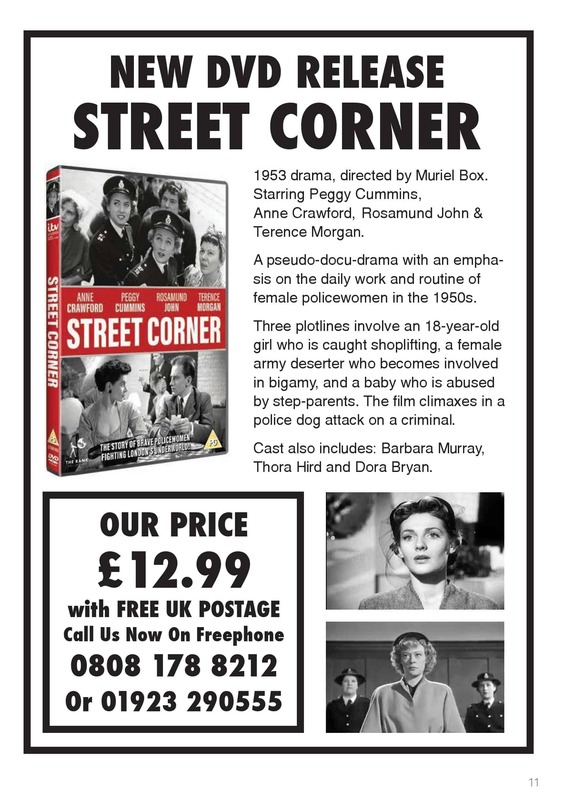 These precious glimpses give us a flavour of those harder, yet perhaps more innocent times. 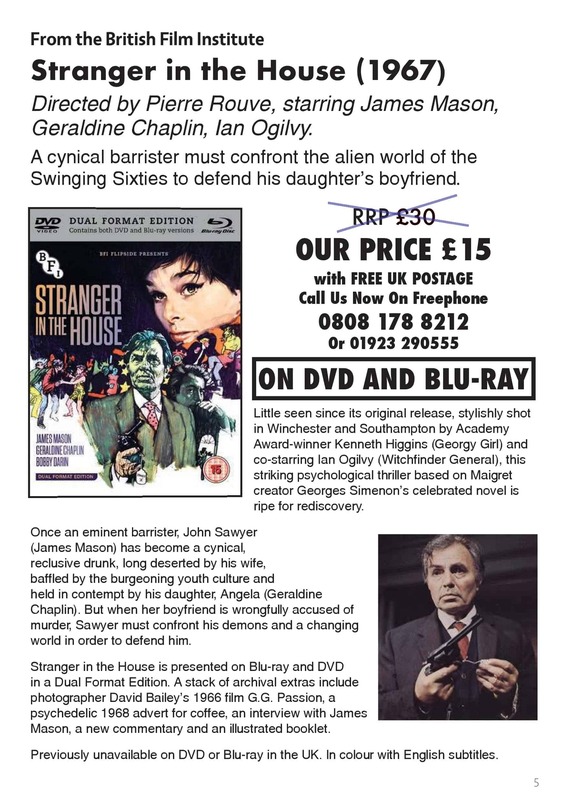 Episodes like the Ideal Home Exhibition of March 1964 at Olympia, Sea to Plate at Billingsgate and Midnight Around the Globe in 1945 depict a world surviving terrible wars, reinventing itself and showing the amazing resilience and zest for life that characterized people from the hopeful decades of the 1930s to the 1970s. 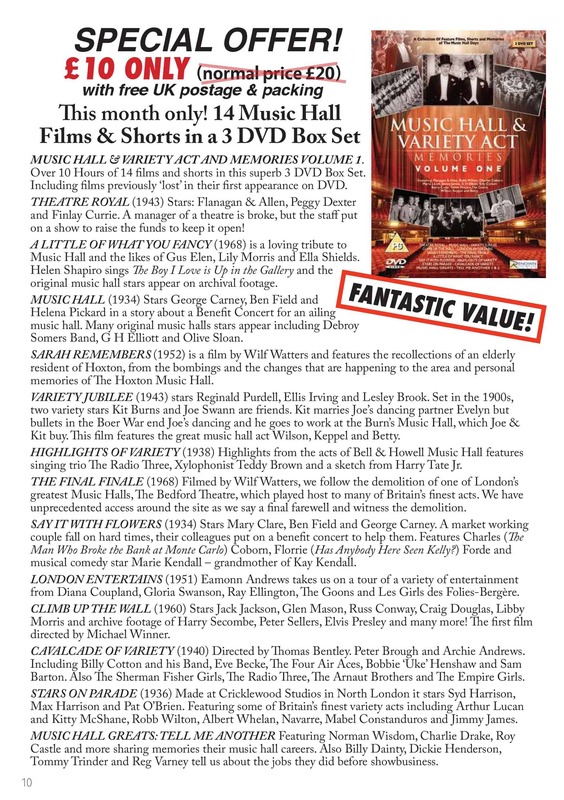 59 individual ‘Glimpses’ of Britain’s past including: 1960s New World Holiday • 1950s A River Trip Along the River Ant • A Pilgrimage Through Palestine • A Ramble Around London • A-Bob-In-The-Pound with Tommy Handley • American Legion 1937 • Midnight Around the Globe in 1945 • Bournemouth in the 1930s • Bournemouth Municipal Orchestra • Bristol & Wales in 1964 • Great Castles of The Middle Ages • A Day in the Life of the Children of the North Sea • Cornish Ramble • Cornwall Calling • The Crofters of Achriesgill • Dover • Down The Thames • Bushey Heath • London River Bus late 1940s • Sally Visits Kew • Cambridge in 1945 • Hit the Road Jack • Salt Shakers • 1960s Steam Fair • Swing Tease • When Do We Eat? 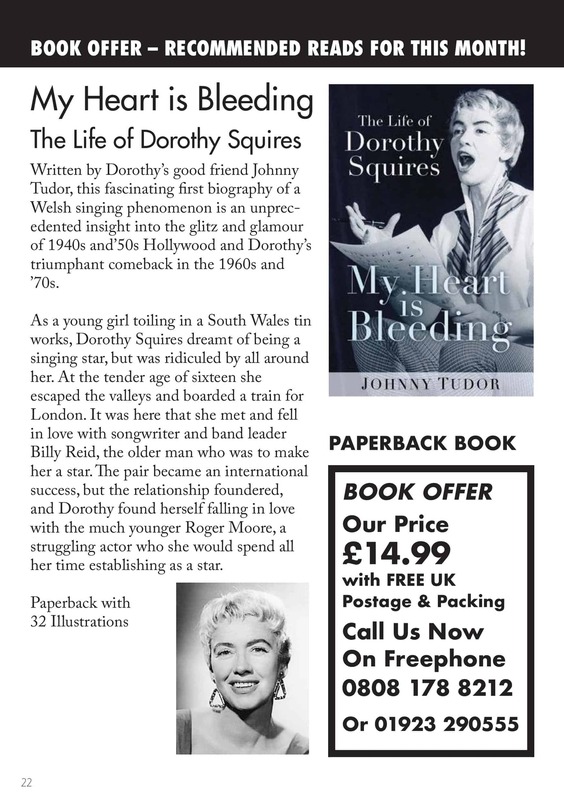 • Guernsey in the 1970s • Land of Contrasts • London’s West End in 1947 • Petula Clark ‘The Day Begins Early’ • Re- Mind That Child • Salisbury Hall: The Ghost Of Nell Gwyn • Sheep Dog • Stopping and Starting • Sunshine Island • Sweden in the Late 1940s • The Eternal Fire • Eddie Carroll and his Orchestra • Report On Litter • The Ideal Home Exhibition March 1964 at Olympia • Our Weekends in 1949 • The Fishmonger in 1947 • The Forbidden Frontier • The Puddle-Muddle Riddle • The Worker & War-Front Magazine • War Time London • We Three • Wool To Clothing in 1947 • Your Local Council 1949 • The Tale Of Elsie Bossing • 1940s Speed Skating • Come Back To Erin • Harry Roy In Floor Show • How to Refuel Your Two Stroke Engine • St Paul’s Cathedral in 1942 • Sea To Plate & Billingsgate • Ten Pin Bowling 1960s • Sunday in Southend in 1959 • Daily Checks For Your 1970s Moped!